Works without any problem, XMP works fine with MSI mobo, may switch to DRR4-3200 in the future. Super fast RAM. Well worth the money when I'm running Lightroom, playing music, have a browser open and am exporting an album whilst scrolling through RAW files. I went with these ones instead of HyperX. 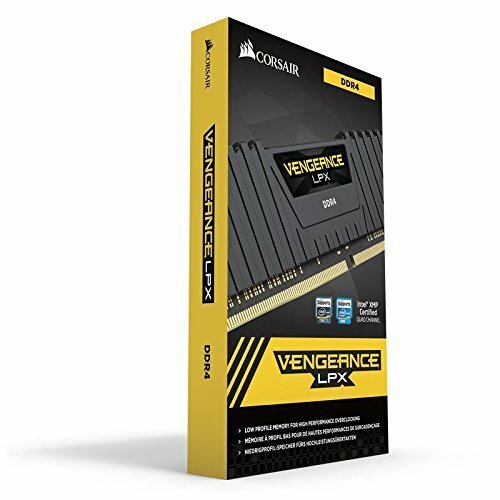 The Corsair Vengeance lineup has nice OC support and XMP settings, can be fitted on any motherboard as it's on every single QVL you can find, has moderately competitive prices and its looks are subdued. You can pick other colours, too. Highly recommended. Cheapest 32GB (16 X 2) 3000MHz Kit I could find. In my situation, the XMP profile loads great, but runs stable only at 2800MHz. But great value, runs cool, and the small profile is perfect for a tightly spaced ITX cases. Does what RAM does. Don't have it at full speed yet. Looks really good, although I regret not spending a bit more for the RGB variant. Started out at base/default 2133MHz but was easy to bring to its rated 3000MHz with no stability issues so far. Frankly, if you don't have at least 32GB of RAM, you aren't a real enthusiast. Very high performance memory for the price. It is also relatively low profile RAM (33.5 mm), which really helps with mini-ITX builds. The XMP 2.0 profile was easy to import into UEFI/bios on my ASRock x470 mini-ITX/ac motherboard. Unfortunately, I docked 2 stars for one of the two modules failing Memtest86 v7.5 right out of the box. Amazon's RMA process is painless and new RAM is on the way.